We all know that part of the sewing experience includes munchies during those brief breaks we take to look at our work and say “dang, I’m good” or “it’s missing something” or “Screw it all, I need chocolate!” Michelle has tasked me with making sure you all have pleasant-tasting fuel to keep you going when the ideas are slowing and the momentum may be dying. I take this responsibility very seriously, but unfortunately my first attempt at a recipe for you failed. But I wasn’t going to give up! I grabbed a bag of chocolate chips popped a few in my mouth and searched through my cabinets for more ingredients to go along with those little morsels of heaven. I checked my recipe index, ate a few more chocolate chips and then checked the cabinets to see if I had enough of anything to make for you. Snack until you have accidentally eaten almost the whole bag and ruined your blog post. Feel shameful. Then eat a few more chips to make yourself feel better. Well, um….there’s your sewing snack for the day. Sometimes chocolate chips are all you really need. I hope you giggle a bit at my piglet tendencies. And I promise that I’ll make it up to you with something awesome very soon. Until then, grab a bag of chocolate chips and get your snack on. 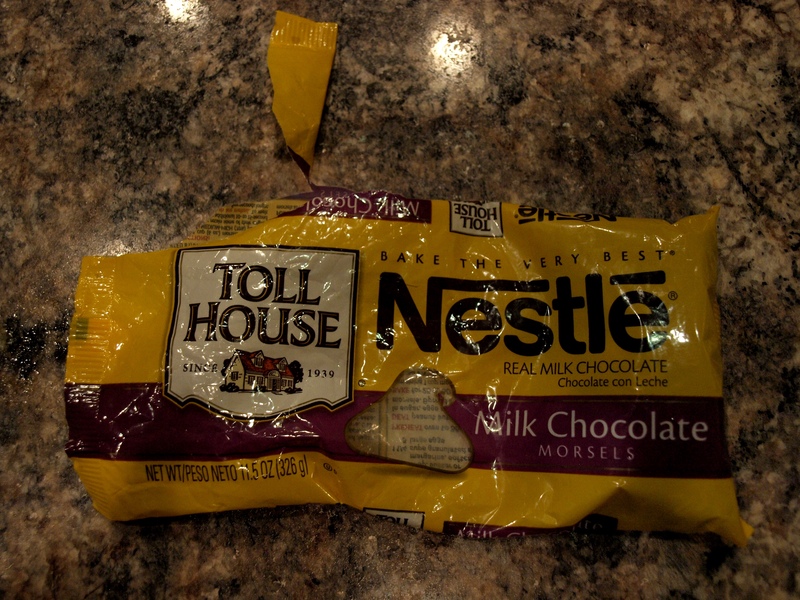 You missed a critical part of chocolate chip eating. See, chocolate gets your fingers dirty. Pour the chips in a cup and then drink a mouthful at a time. No washing hands necessary And immediately back to sewing. My favorite snack! And I can’t mess it up.